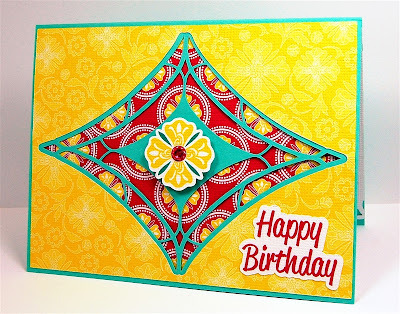 The bright colors and pretty patterns on this card just make me smile! I used digital files from Cosmo Cricket from the DeLovely line. 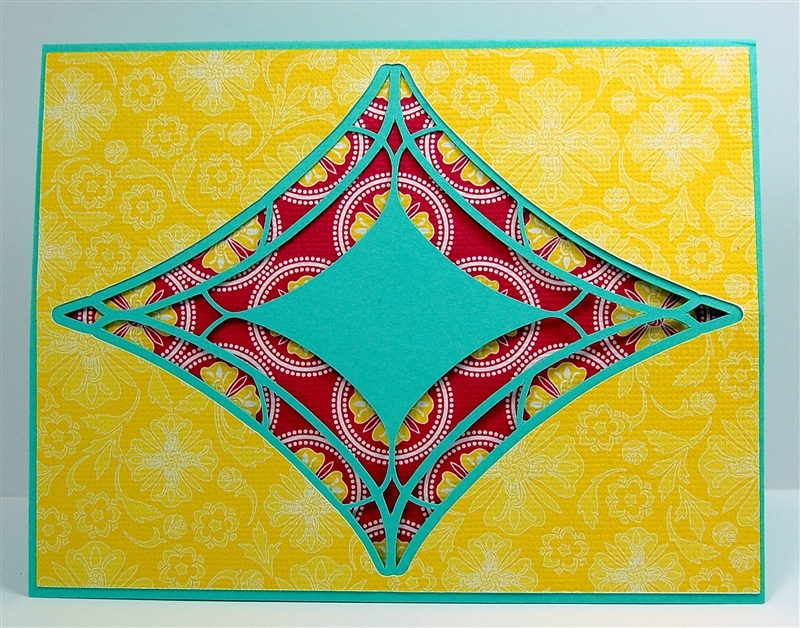 Everything except the card base was printed on my regular home printer on textured white American Crafts cardstock. 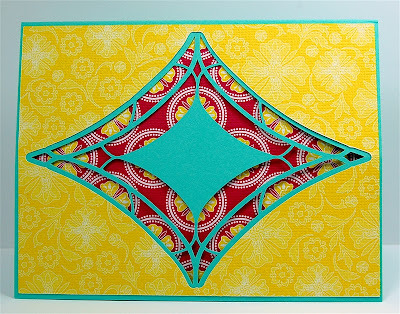 I made all of the pieces to fit the card base that I designed and set up one file to cut the pieces. When you are doing a print and cut project with the Silhouette software you need to add the registration marks (the small black square in the upper left corner and the two "L" shaped lines at the top right and bottom left). 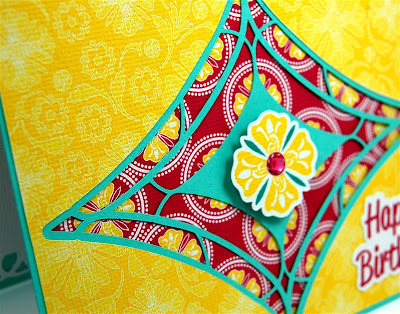 The machine will use these marks to align the cuts with the edges of the printed designs. I have a normal size printer so I could only use and 8 1/2 x 11 inch piece of cardstock. I am seriously thinking about getting a wide format printer so I would be able to do full 12 x 12 pages. I am frustrated by the fact that I actually own a machine (the Imagine) that will print 12 x 12 - and very nicely - but I can only use it with cartridges. 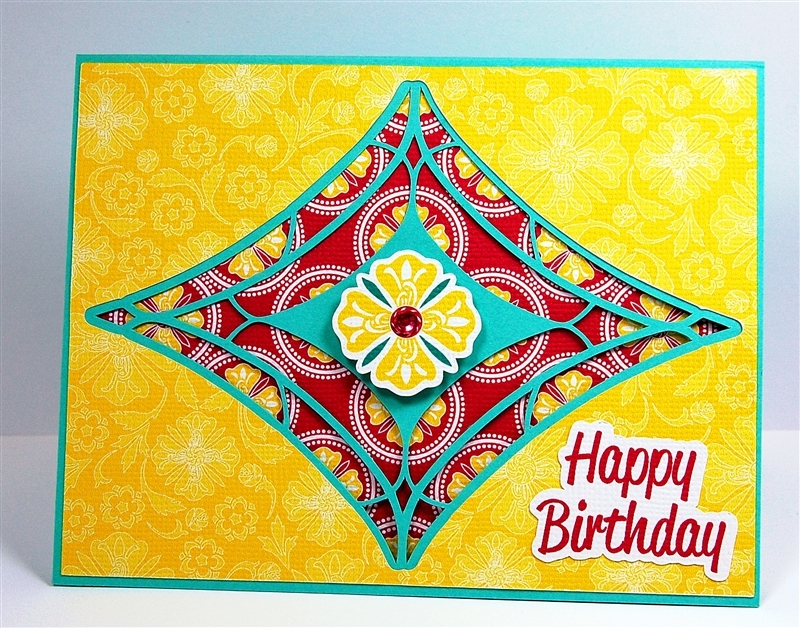 I cut out the card base from some heavy Martha Stewart cardstock in a greenish blue that coordinates with the detail lines on the flowers. In my original file I had chosen a darker shade of green but I think this color works well with the patterned papers. 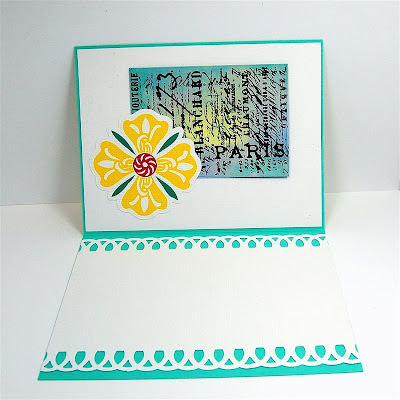 The card base is an original design that I made by simply drawing in the Silhouette Studio program. I really like having the ability to edit the design point by point so I can make exactly what I want to make! I had sized the inner layer to the exact size of the card front (4 1/4 x 5 1/2 inches) in my file but I realized that I should have make it slightly smaller so I trimmed a sliver from each of the four sides. 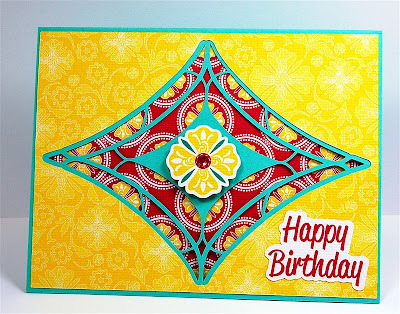 I did this because I had very carefully centered the pattern on the paper to match the openings in the card front and I didn't want to throw the design off center. 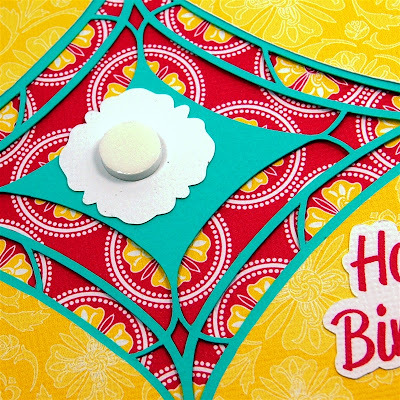 I'll fix the file for the next time I make this card! I don't like to put a tight lining on a card with a cutout design so I added adhesive only on the top of the liner piece and centered it inside the card. 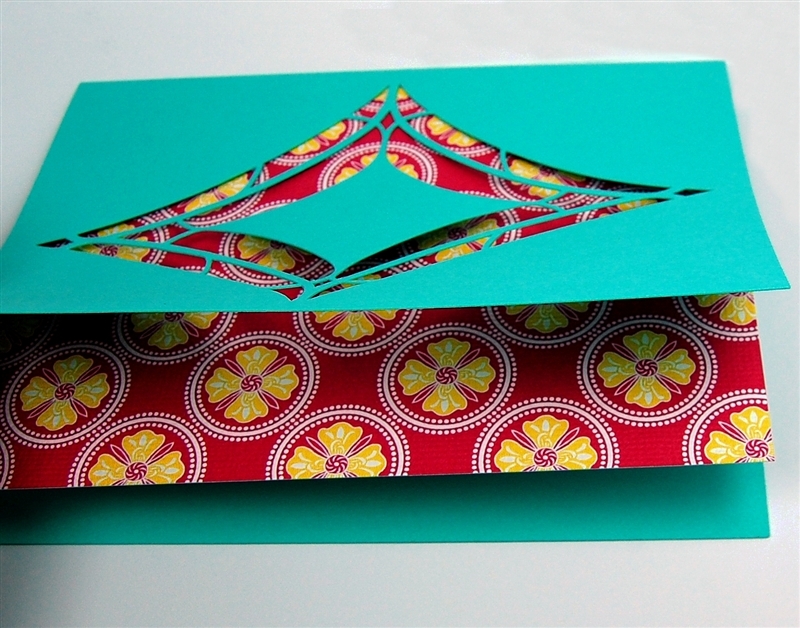 Then I folded the top down to adhere the liner to the card. 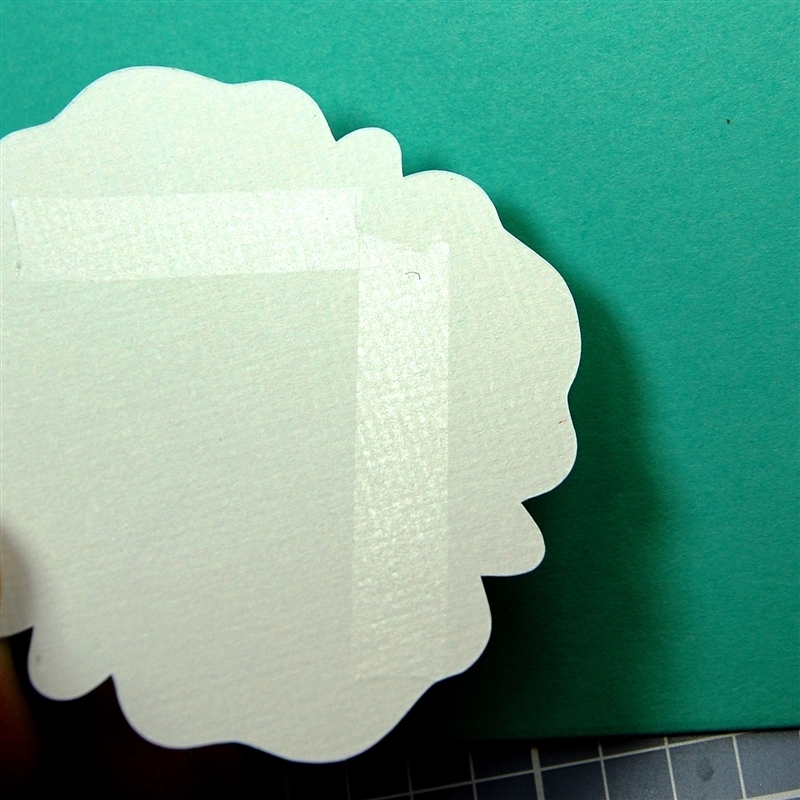 This allows the card design to be seen a bit better and also keeps the front from puckering as it can when there is too much adhesive holding two papers together. 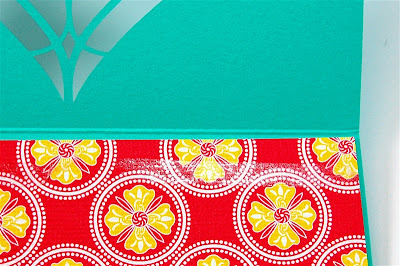 The liner stays in place but the open cuts can "show off" a little bit more by leaving the bottom half free of adhesive. 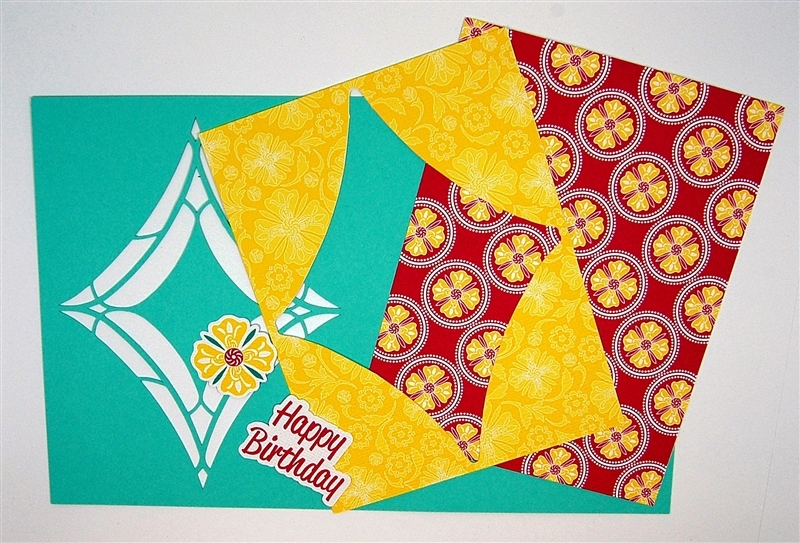 Next, I added the yellow layer with the cut out coordinated with the card design. The small flower fits nicely in the center diamond. I used a foam dot to raise the flower up a bit for more dimension on the card front. 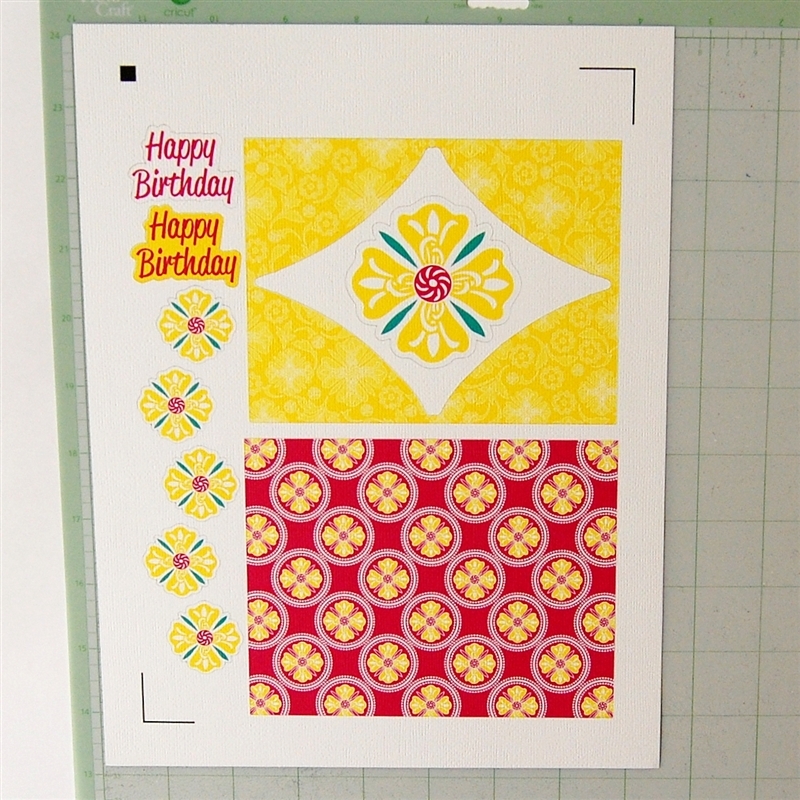 I printed two version of the "Happy Birthday" sentiment and auditioned them on the card front. I decided to go with the white background so the sentiment would stand out a bit more. I could have just printed the words on the top layer but I wanted them to be separate so they would be more noticeable. I added a small bright pink gem sticker to the center of the flower for just a touch of sparkle. I restrained myself from adding any more bling! I was lucky to have a gem in just the right shade of pink. 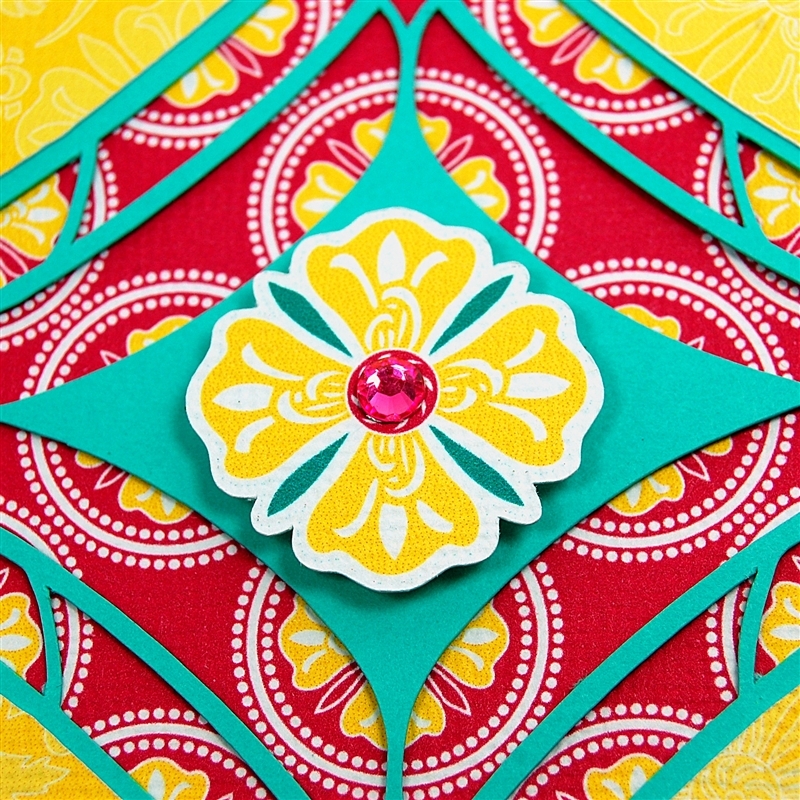 I like to add a liner to the insides of most cards to make them more "finished." 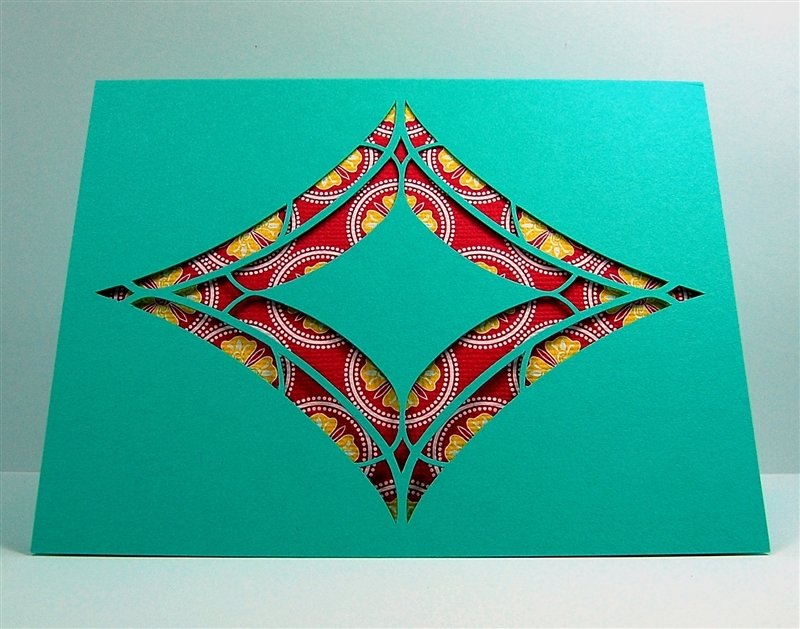 I used a piece of the textured white cardstock and cut it at 4 x 5 1/2 inches. 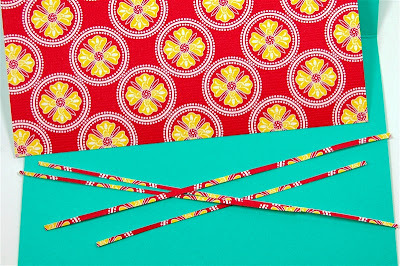 Then I punched the top and bottom with a Martha Stewart border punch called "Loops." The top of the card is covered with the back of the pink patterned paper with the large printed flower added. 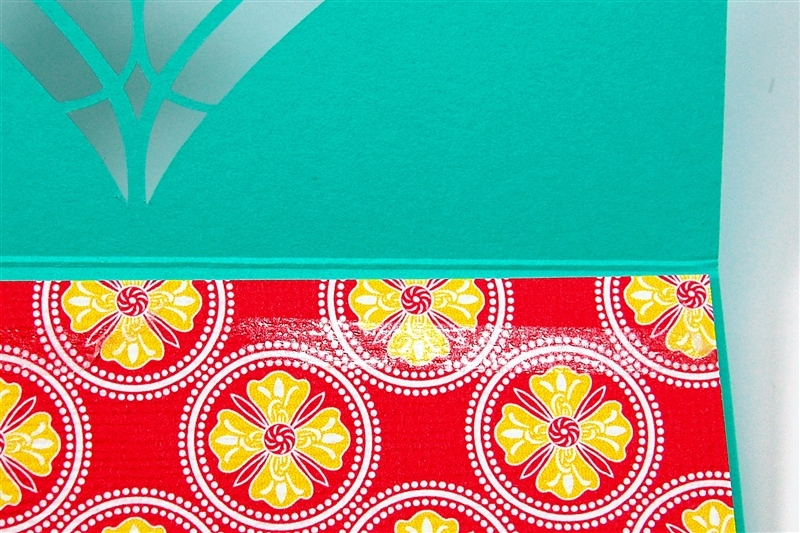 When I adhered the flower to the top liner, I added adhesive in an "L" shape to leave an opening. This makes a pocket for an gift card, an artist trading card or even some folded cash. 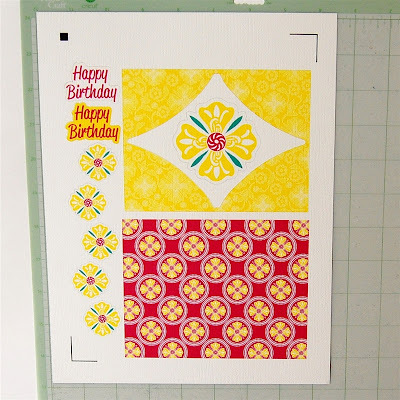 If you would like more directions on actually creating the print and cut page, please leave a comment and I'll try to do a tutorial or video (or both!). 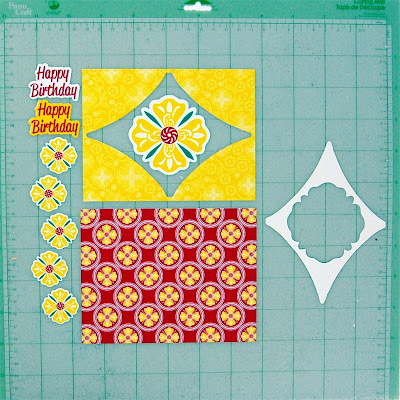 I actually got to cut out several designs after I got home from the dentist - I just need to do some more assembling and photographing to get them ready to post. I hope your week got off to a good start! Love your design. Absolutely beautiful. Love the Silhouette. Thank you for sharing. Love the card Diane. The color combo is excellent. Thanks for sharing. 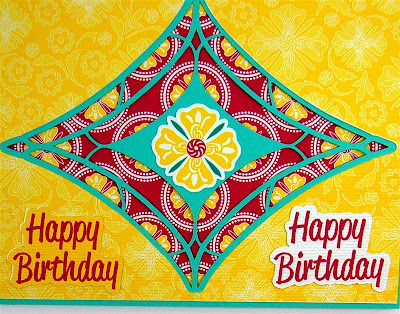 Really great card! 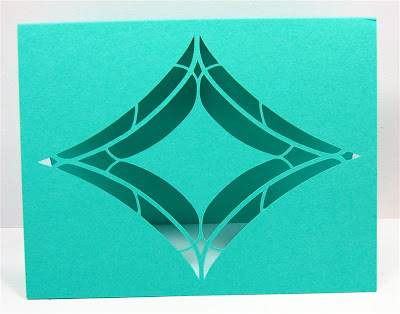 Would love a tutorial, especially on how to create the cut out design with Silhouette. 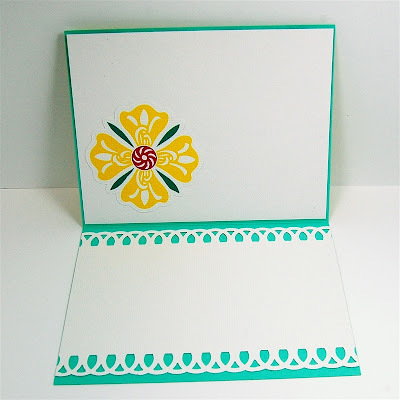 Gorgeous card Diane. I am still a cricut fan and will try to find a way to CASE this with my cricut.